Dr. Sigman is nationally recognized for his expertise in male infertility and sexual dysfunction. 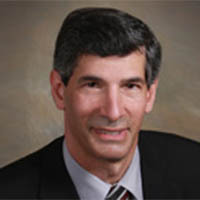 He is a member of the urology staff at both Rhode Island Hospital and Providence VA Medical Center as well as The Miriam Hospital, Women & Infants Hospital and Memorial Hospital of Rhode Island. Dr. Sigman is also the Co-Director of the Men’s Health Clinic based out of the Miriam Hospital.